This month’s MIPIM conference in Cannes once again played host to the final round of the much coveted MIPIM Startup Competition. 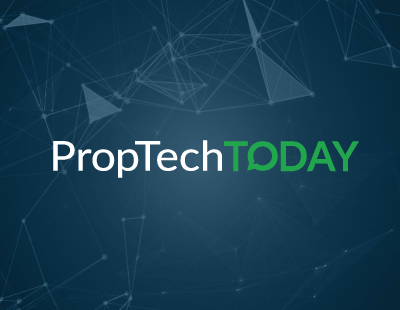 The list of finalists often serves as a fascinating peek at what the future of PropTech might look like, and the winners invariably go on to great success. This year’s big winner is Spaceti, a Czech startup that ‘provides an integrated suite of data analytics, smart sensors, and mobile user interfaces to optimise the use of office spaces, and increase the productivity and wellbeing of people in buildings’. What on earth does that mean, I hear you ask; put simply, they empower the Internet of Things (IoT) and smart sensors to create a digital twin of any given building. From here, the software provides insights into all aspects of the property, including navigation, efficiency, occupier sentiment, parking, air quality, and communication. This stuff is the future; no question about it. For any asset owner or manager, the ability to understand exactly how a building is performing in real time helps increase revenue, reduce costs, and eliminate risk. Given how affordable digital solutions such as Spaceti are, it will not be long before every commercial property we enter has its own digital twin. “We are really thankful to our customers, partners, and supporters on the journey to this,” said Spaceti CEO Max Verteletskyi having just won first prize. First place always gets the glory and, in the case of this competition, a great boost towards future success. Just look at the achievements of last year’s winner, Disruptive Technologies, in the year since, but making it to the final of the MIPIM Startup Competition is still an impressive accomplishment. Those who do can be confident that their innovation is working in the right direction, sure to have a truly positive impact on the market for years to come. We’re all very aware that MIPIM is coming under fire for the general environment that is created each year in Cannes, and while it does certainly need addressing, it doesn’t take away from this competition’s ability to identify the emerging trends in PropTech as well as those who are primed to drive those trends forward; the future industry leaders. Here is the list of finalists, each of whom progressed to the finals by winning their respective regional rounds of competition. Joining Spaceti as the second finalists emerging from the European rounds of the competition, Sensorberg also works in the digitalisation of buildings, using a sensor-based system, which is entirely open and compatible with the vast majority of hardware. This means that the Sensorberg is one of the more democratic PropTech offerings you’ll see. District won the New York round to claim a place in the final. It provides an artificial intelligence platform and mobile app to connect users to smart buildings. According to its website, District works to ‘create places people love and enjoy by upgrading your physical spaces’. The key areas of action towards achieving this goal are community, smart buildings, and data analytics. Interestingly, during its pitch to MIPIM, District announced a Freemium version of its platform, allowing anyone to download it for free. Also progressing from the New York competition was OnTarget, now seemingly rebranded as Kwant, a ConTech company using data to improve the processes involved in construction. Once again, it is another company with a heavy focus on IoT, helping to, among other things, increase on-site safety ‘by 80%’. Qualifying from MIPIM Asia, first up there’s Neoma, a ‘leading hotel platform converting location data into value’ in order to help hotel staff deliver the best possible guest experience. The theme of smart devices and sensors continues, this time applied to enable guests to optimise their stay with cutting edge featuring, such as being able to unlock doors with an app, and simultaneous drives hotel revenue. Finally, and also progressing from MIPIM Asia, Tatami works in modular housing with the aim of solving the global housing crisis. Strangely, its website doesn’t seem to be working at the moment, but you can learn more via its LinkedIn page. 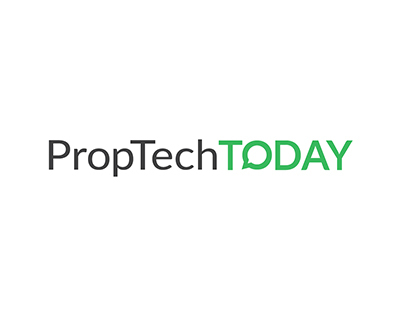 I think it’s quite clear that smart buildings are now starting to take centre stage for PropTech and property alike. The promise of this technology is insight; insight which allows for risk reduction and revenue increase. Perhaps one reason for this year in particular seeing so many finalists from in or around IoT (although last year’s winner was, too) is the imminent and much anticipated arrival of 5G technology; a momentous step up from 4G which promises to bring to fruition much of the most advanced technology we’ve been hearing about, including driverless cars. 5G will make today’s IoT possibilities seem childlike, so now is the time to start building digital, connected infrastructures in commercial properties of all kind. Tenants will be willing to pay more rent to access it, landlords willing to invest more into their property in order to provide it. These upgrades will also clear a path for more smart technology and IoT devices to be installed and soon, more buildings than not will have their own digital twin.